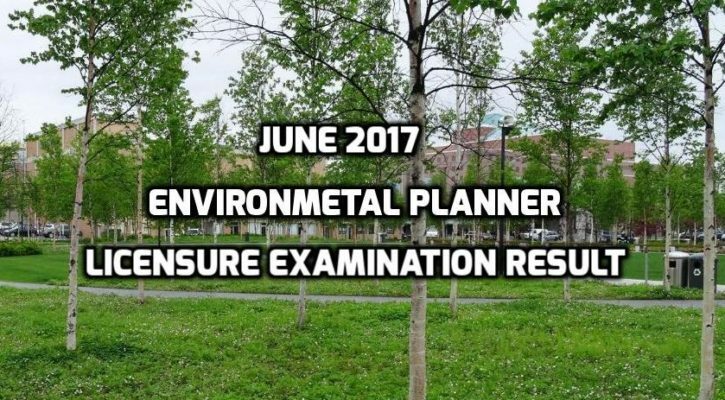 The Professional Regulation Commission (PRC) is set to release the list of passers for the June 2017 Environmental Planner Licensure Examination soon. The exam took place on June 7-8 and the designated test centers include Baguio City, Cagayan de Oro City, Cebu, Davao City, Iloilo, Legaspi, Lucena, Manila, Pagadian as well as Tacloban. The commission waited only 2 days after the scheduled examination to release the successful passers, top performing schools and top 10 examinees. The Board of Environmental Planning members administered the board exam headed by Chairwoman Josefina M. Ramos, Dolores A. Endriga and Lirio T. Abuyuan.